Note: Photo shows walnut rails - This item is only available in light oak. Convert any table to a dump table with 4"H woodgrain laminate side rails. Add to our 60"W x 30"D table top. 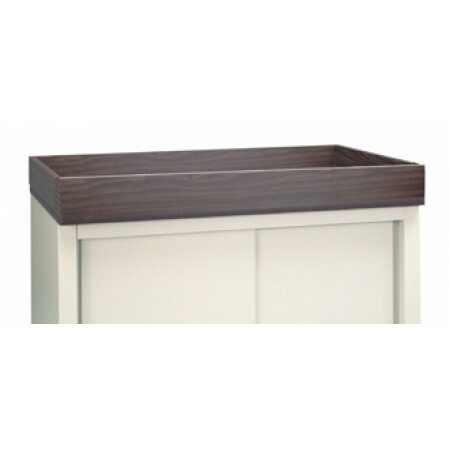 Top side rails keep mail contained and prevent it from falling off sides and front of table. A beneficial add-on for the mailroom, mail center, office or warehouse. Note: Four sided top side rail only. Table sold separately. Fits our 60"W x 30"D table top.